Gunung Leuser National Park is a national park covering 7,927 km in northern Sumatra, Indonesia, straddling the border of North Sumatra and Aceh provinces, a fourth portion and three-fourths portion, respectively. The national park, settled in the Barisan mountain range, is named after Mount Leuser (3,119 m), and protects a wide range of ecosystems. An orangutan sanctuary at Bukit Lawang is located within the park. Together with Bukit Barisan Selatan and Kerinci Seblat National Parks, it forms a World Heritage Site, the Tropical Rainforest Heritage of Sumatra. The flora and fauna of Bukit Lawang Mountain and lowland forests are breath taking. Both are vitally important genetic resource and wildlife habitat. 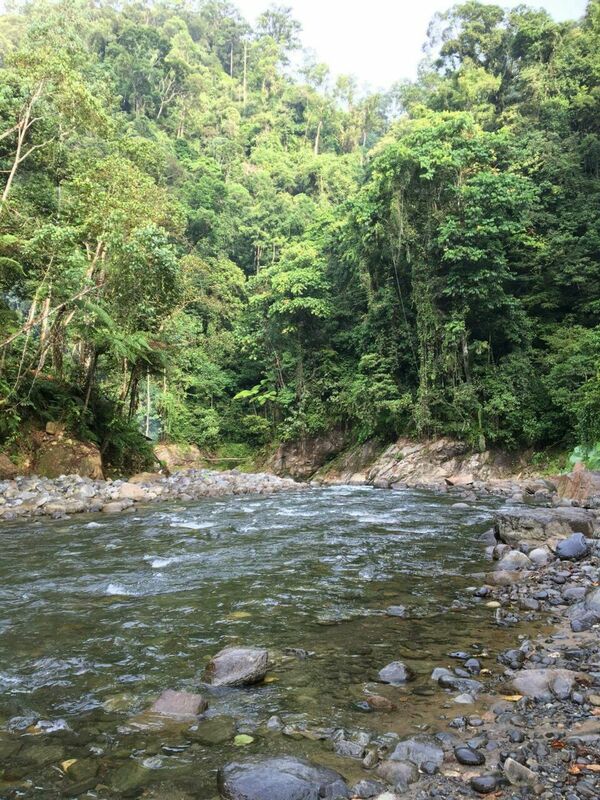 Bukit Lawang is situated at the eastern side of Gunung Leuser National Park (TNGL). This jungle is part of a larger section of jungle known as the Leuser Ecosystem. This region has an area of 2.6 million hectares which includes the area around TNGL which serves as a buffer zone. Within this national park there are approximately 130 mammal species. These include; the Sumatran Orangutan (Pongo abelii), Sarudung (Hylobates lar ), Gibbon (Hylobates syndactilus), Long-tailed monkeys (Macaca fascicularis), Macac Monkey (Macaca nemestriana) and Kedih (Presbytis thomasi). The carnivorous animals include; the Clouded Leopard (Neofelis nebulosa), Sun Bear (Helarctos malayanus) and the Sumatran Tiger (Tigris Phantera sumatraensis). The Herbivorous animals inclue the Sumatran Elephant (Elephas maximus), the Sumatran Rhinoceros (Dicerorhinus sumatraensis) and the Sambar Deer (Cervus unicolor). There are approximately 285 species of bird in the Gunung Leuser National Park including; the Rhinoceros Hornbill (Buceros rhinoceros). It is estimated that there are around 89 species that are endangered and protected in the Gunung Leuser National Park including; the Sumatran orangutan (Pongo pygmaeus abelii), Sumatran rhino (Dicerorhinus sumatrensis), Sumatran tiger (Panthera tigris sumatrae), Sumatran elephants (Elephas maximus), Sun Bears (Helarctos malayanus), Hornbills board (Buceros bicornis), Dhole (Cuon Alpinus) and Gibbon (Hylobates syndactylus). In 1973 a Swiss organization set up an orangutan rehabilitation center in Bukit Lawang. The purpose of the center was to rehabilitate Orangutans released from captivity. The rangers at the center taught the orangutan all the necessary skills to survive in the wild. 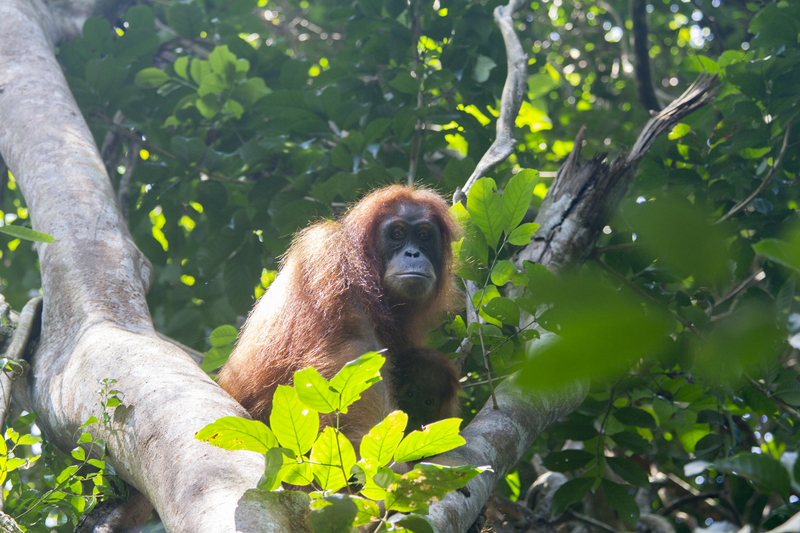 After an intense period of quarantine, readjustment to the natural habitat and reintegration in the semi-wild population, the Orangutan is then released back into the jungle. All orangutans released are still monitored by the rangers and they still provide them with supplementary food at the feeding platform until they become fully self-reliant. The wildlife within the National Park is exotic and unusually diverse, Wild Orangutans can be difficult to see unless you go deep into the jungle. There are also White handed gibbons and Siamang that make an amazing noise calling out to each other, and Thomas Leaf monkeys. 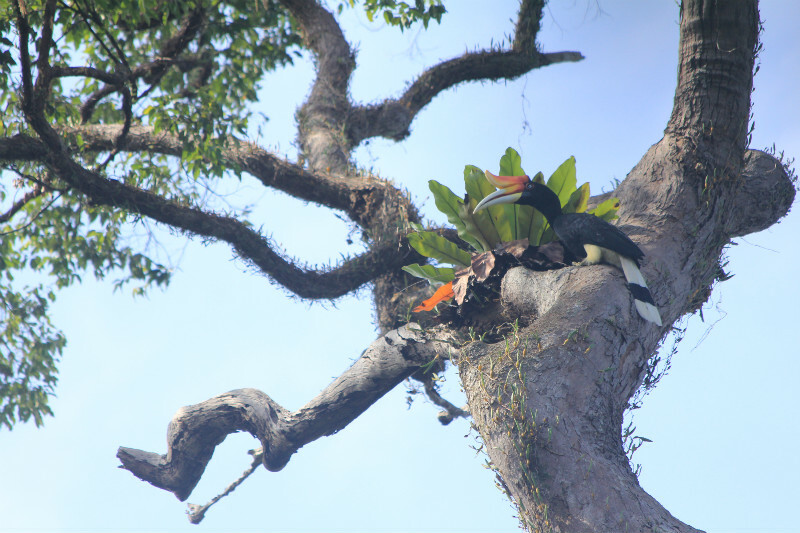 If you are lucky, you may be able to see Hornbills, Moon Snakes, and Monitor Lizards. Since there are very few still alive, it is very improbable that either the Sumatran Tiger or the Sumatran Rhinoceros will be encountered, although footprints and droppings have been reported. For elephants, go to Tangkahan or near Ketambe you can trek further into the jungle to try and spot wild elephants. While seeing creatures in the wild is never guaranteed, visitors can at least get a glimpse of their habitats and experience their environment while waiting to see a rare animal or bird.